My intention is to implement a signed message verification function in PHP. I've tried https://github.com/BitcoinPHP/BitcoinECDSA.php and https://github.com/scintill/php-bitcoin-signature-routines but both failed to verify Denarius signed messages. They used the technique from this link https://crypto.stackexchange.com/a/18106 which seems to be different from the one used in Denarius. 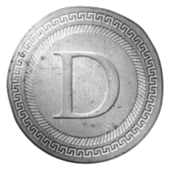 I noticed modular arithmetic is applied in Denarius code. So, I just extract the signed-message verification code from Denarius and see if I can make a PHP version. Digital signature has wide applications which should be initiated by the cryptocurrency world. Every digital wallet has private keys which are ready to be used to digitally sign anything, other than just to sign spending transactions. The other side of the applications just need to verify the signed something without necessarily going through wallets. In fact, the verification process ignores address prefix. Thus, any Bitcoin or Bitcoin-based Altcoin can also use the same code to verify its signed messages by just setting the proper strMessageMagic. Anyway, I'll maintain my GitHub repo as dnrverify and keep highlighting Denarius. where each time a string is appended to the ss the internal data structure keeps it as string length + string. Thus, the final data will be strMessageMagic length + strMessageMagic + strMessage length + strMessage. "Denarius Signed Message:\n" is just one byte longer and can be pasted as "\x19Denarius Signed Message:\n". Hence, the technique of that link https://crypto.stackexchange.com/a/18106 is valid for Denarius and Bitcoin-based Altcoins. However, the modular arithmetic technique in Bitcoin code is more efficient. I'm going to patch one of the PHP repo.